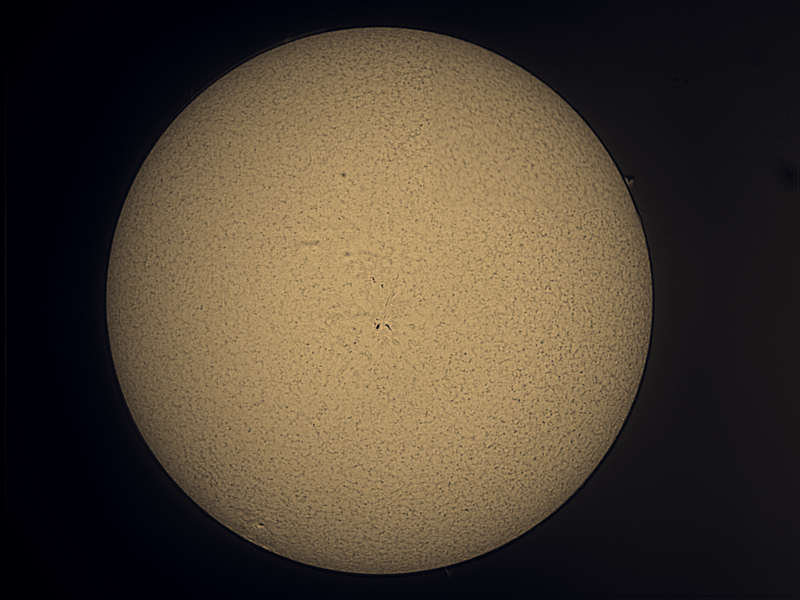 A GPCam and Lunt 50 H-alpha scope were used to image the Sun. The best 20% of 1000 frames exposed for the surface and prominences separately. were stacked in Autostakkert!. The images were further processed and combined in Photoshop CC. Yellow filter was applied and the image was unsharp masked. Click on the image to get a closer view.